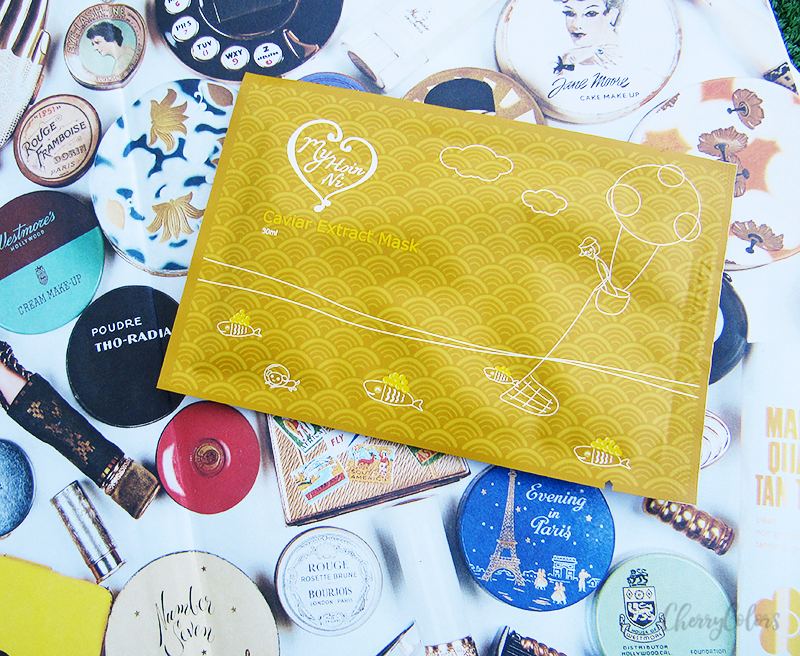 My Hoin Ni - Caviar Extract sheet mask - Cherry Colors - Cosmetics Heaven! One not so sunny day, I was in a splurging mode in our local Muller (drugstore). I saw these sheet masks a while ago but I never purchased them since I wasn't sure why would I risk paying 3€ for one if I can get better (well known?) masks for a similar price point online? The brand is hard to spell and even harder to pronounce "My Hoin Ni" so we all know them as "those sheet masks from Muller". I later did some Google-fu and thought I found the brand of the masks. You know, the design is the same, the logo pretty much the same. I am talking about The Scheming brand. 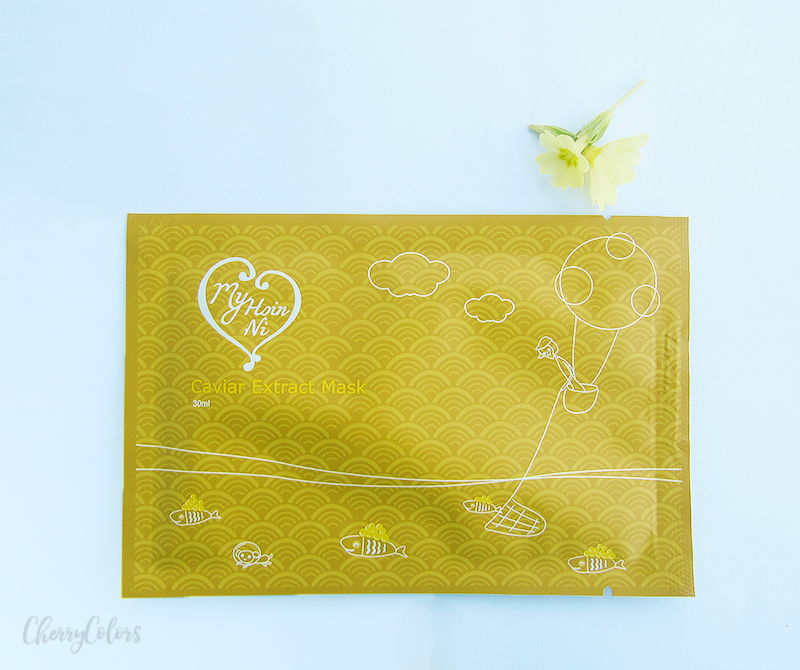 They are well known for their sheet masks and have been for more than a decade. They were unknown to me, but I was so happy when I thought these were the same brand. BUT. Here's a big but. I got in contact with the Scheming and they told me these masks are not theirs. I was shocked. A knockoff brand being sold in our biggest drugstore?! Okay, but let me tell you about the mask I got. 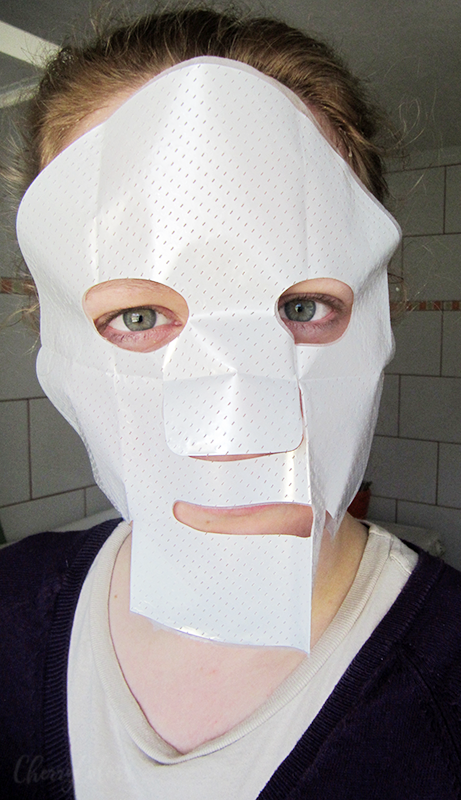 You can find up to 6 different types of these masks in our local stores (Muller). But as I found out, you can get a couple more of them online. Since I was in a "feeling so precious" mood, I got the caviar mask. Caviar extract masks are supposed to be whitening masks, but I don't really find the idea appealing - except if it removes PIH. But this mask is supposed to be great for skin hydration and this is actually the main reason why I used it when my skin was the driest - with skin flakes, itchy feeling and so on. Look this is the My Scheming mask - similar much? One thing I noticed is that the bag is full of essence and I was feeling really wasteful throwing the remaining essence away. I saw that some people put it in a container and use it up later as part of their regime. But since I didn't know how to use it and thought that hey, it must be so much easier to apply it on with the film on, I did exactly that. See? Take a moment and giggle with me ;). 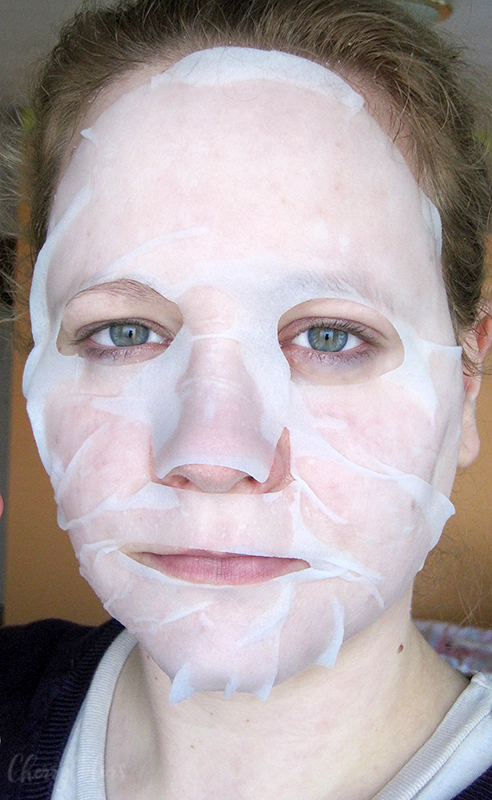 I left the mask on for 20 minutes and later patted the remaining essence into my skin. My skin was feeling well moisturized and happy. Wonderful! The effect lasted only until next morning. The dry patches have disappeared and my skin was smooth and soft. - possibly knockoff design and logo from My Scheming? 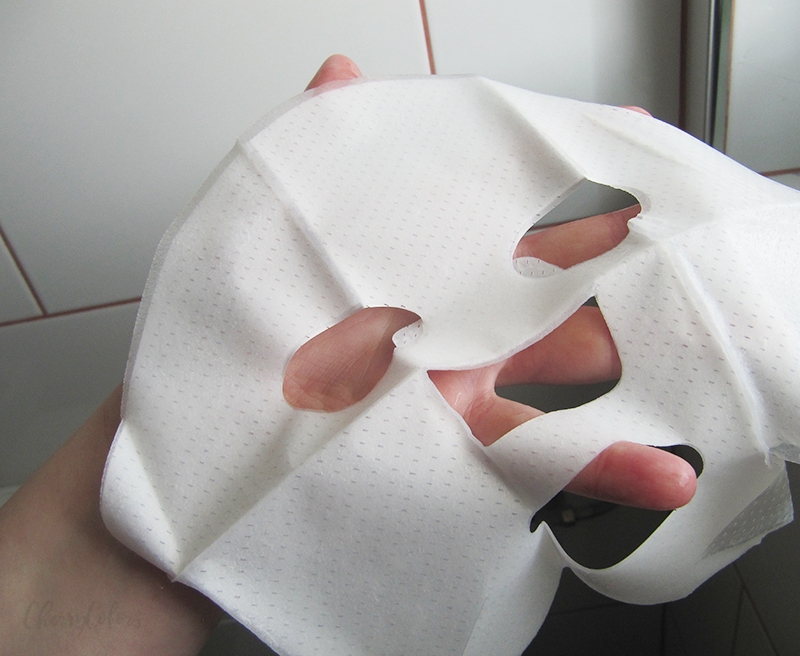 I did enjoy the mask very much, but I am not willing to use a knockoff (should I rather use the word ripoff?) 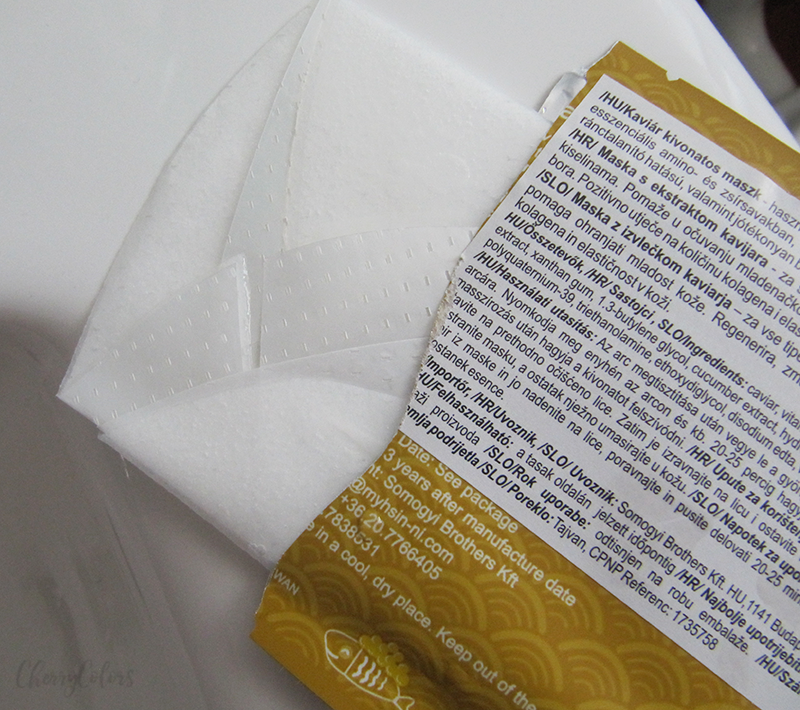 brand of a better-known brand that specializes in sheet masks. I'd prefer using the original one. I found out that this must be a Hungarian brand (check here), but I still don't understand why the ripping off of the Scheming brand? If anyone knows anything more, do let me know.